When Isobel Dusi visited Italy with her Australian husband Lou, little did they imagine that life would change forever. But, utterly besotted with the fragrant warmth and good-natured conviviality of Southern Tuscany, they decided to sell up their lives in the big city and move thousands of miles to follow the dream of a life more in keeping with ancient rhythms and time-honoured traditions of the Mediterranean. After months of searching they settled upon Montalcino, an intriguing hilltop medieval village with a reputation for some of the finest wine in Italy. VANILLA BEANS AND BRODO is an account of Isobel's hard-won acceptance into this tempestuous, warm-hearted and proudly independent community, whose voluble passions for home grown wine and Tuscan cuisine, for football and ancient traditions and festivals, puts paid to the myth that life in rural Tuscany is tranquil. 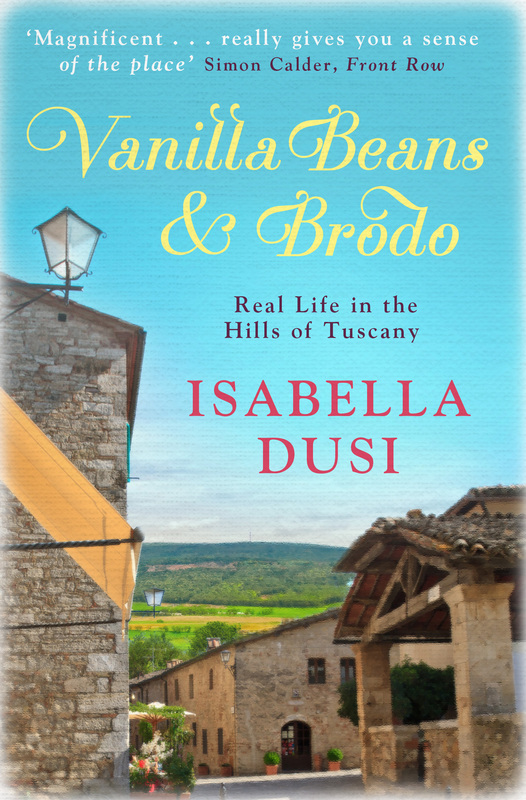 Isobel and Lou are gradually transformed into Isabella and Luigi in this charming account of Tuscan village life that really gets to the beating heart of an Italian community - its joys, pleasures, anxieties, but above all, its absorbing eccentricities.